Kentucky is struggling with the nation’s worst Hepatitis A outbreak in the country. 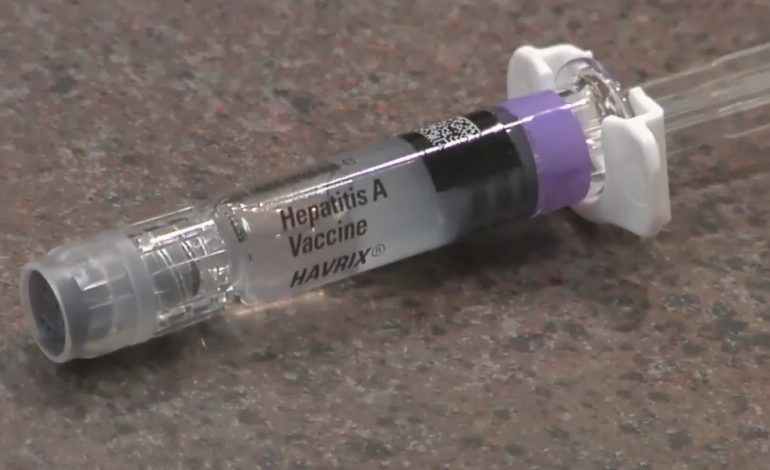 Health departments across the Bluegrass State are working as quickly as possible to vaccinate as many vulnerable people as they can against Hepatitis A. Health experts say drug users are largely responsible for spreading the virus. One of the topics health officials discussed is how Kentucky’s rural areas are fighting with limited resources. Health departments are altering their strategies to meet the challenges they face. New cases have averaged an alarming 76 a week. Many symptoms of the liver illness mirror those of the flu. “With nausea and vomiting, there’s no other sign to go with it,” said Dr. Venu Vemuri, infectious disease specialist. Officials in Kentucky say there is an increased risk of exposure to the Public by food-service workers. According to a national survey, 19 % of food service workers report they either use or abuse substances.